Celestial Pictures spent a lot of money and time remastering most of the Shaw Brothers back catalogue starting in 2001 and released them to DVD in various countries around the world. The releases on Blu ray have been much more restrained, only around 5 in Hong Kong and a few in Germany and the USA were picked up for distribution. Now IVL in Hong Kong has started to release a few titles onto Blu ray starting with this fabulous box set of all three 36th Chamber films directed by Lau Kar Leung. One of the most classic titles in the Shaw Brothers library, the first 36th Chamber of Shaolin stars Gordon Liu as a young student whose family and school are wiped out by oppressive Manchu government. Injured and on the run, he seeks refuge at the Shaolin temple and excels in his martial arts training. When his training is complete, he returns to the outside world to seek revenge and eventually establishes the 36th Chamber, dedicated to the training of secular disciples at Shaolin. 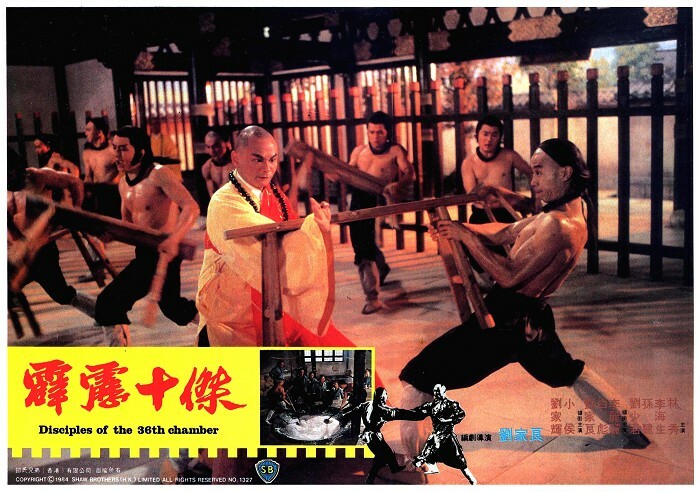 Gordon Liu returns to the 36th Chamber in the new role of a small-time con man posing as a monk. After sneaking his way into Shaolin, he is given the chance to work at the temple and begins learning martial arts on his own through observing the monks’ training. 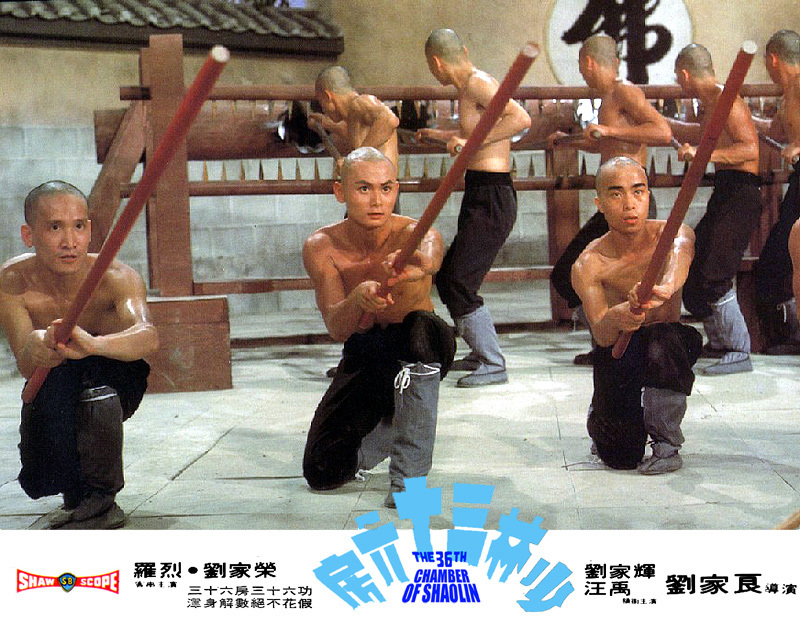 Gordon Liu reprises the role of monk San Te from the first film, this time assuming a mentor role for a reckless young martial artist and a future folk hero named Fong Sai Yuk (Hsiao Ho), who is sent to take refuge at Shaolin after clashing with Manchu officials. Fong’s continued resistance against the Manchu government brings danger to all of the disciples of 36th Chamber. 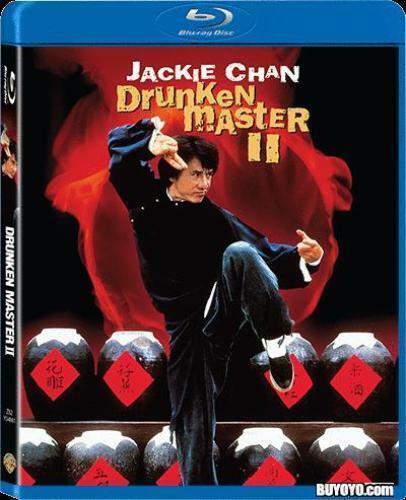 The new Blu ray set has excellent 1080p transfers of all three films ( do not confuse it with the release of the first 36th Chamber on Blu Ray by Dragon Dynasty in the USA which had a very poor transfer and looked like an upscale) colours are bright and vivid, blacks solid and overall it is an excellent presentation. Audio for all films is original mono in Cantonese, Mandarin or the original English dub. It is a little flat but that is because of the source as opposed to any transfer issues. Subtitles in English are clear and easy to follow, you also get a choice of Chinese, Malay or Indonesian subtitles as well. 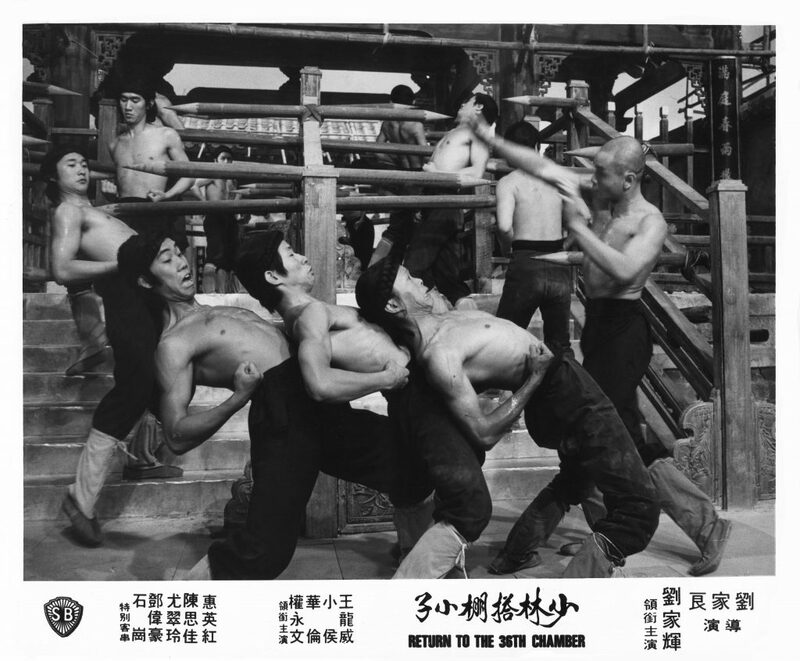 Extras include an interview with Gordon Liu, two small films called A Hero Birthplace and Hero On The Scaffolding as well as trailers and photo galleries. The good news apart from the excellent transfers are that this set is REGION FREE, so will play on any Blu ray player anywhere in the world. It is a little expensive but it comes in a nice presentation box with postcards of the three film posters as well. If you are a fan of the films then this comes totally recommended.